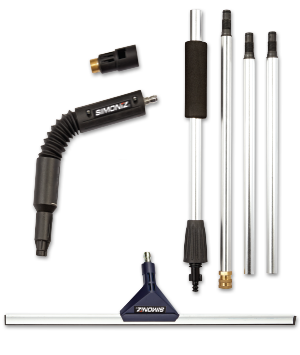 Turn your pressure washer into the ultimate spring and fall cleaning machine with the Simoniz House Cleaning Kit. 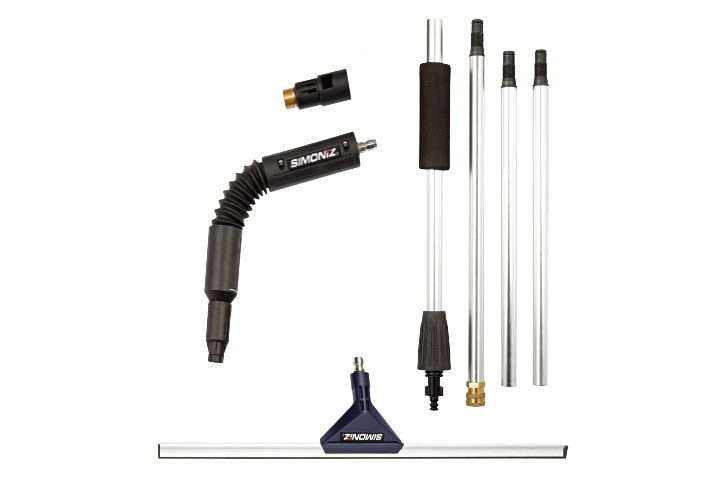 This kit includes a 5′ aluminum extension handle to help reach high places such as windows and eavestroughs, an 18” window squeegee, and an adjustable spray wand with eavestrough nozzle for those hard-to-reach spots. 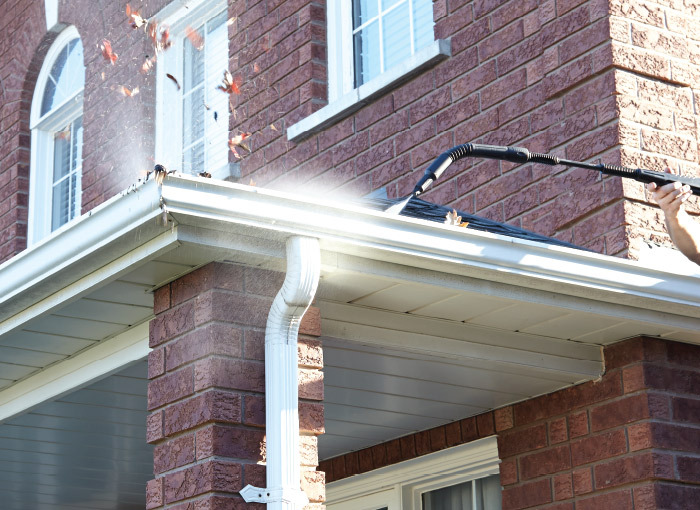 The angled design of the eavestrough nozzle allows you to quickly and easily remove leaves and other debris that collect in eavestroughs and prevent the free flow of rainwater and melting snow. It’s also great for tackling other hard-to-reach areas like the underside of your vehicle or camper roof. 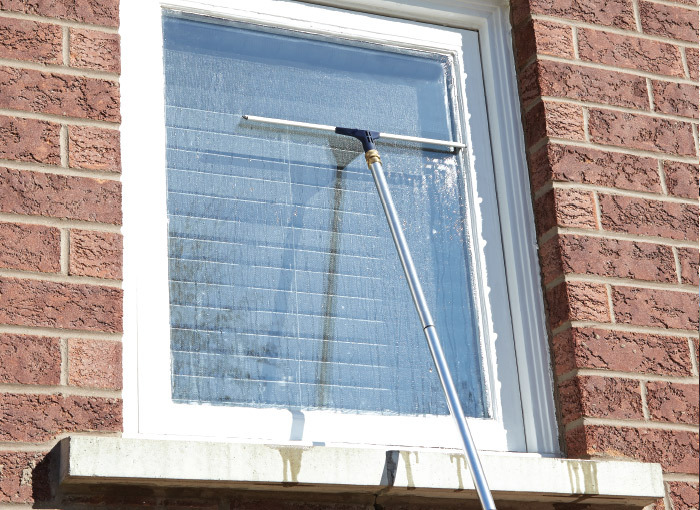 The 5’ aluminum extension handle and 18” squeegee enable you clean second story windows without a ladder.